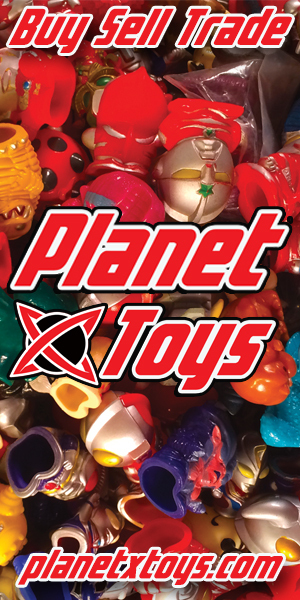 As a Toy Journalist, I’m not just on the hunt for awesome new toys, but old/used ones and discount toys as well. I used to visit Toys R Us at least twice a week to scope out the hotness until they closed their doors. Without them, I’m still on the hunt, but my options are limited to Walmart, Target, discount stores (like Five Below, Marshalls, T.J. Maxx, Big Lots, Ross, Dollar Tree), and toy conventions/expos. Of course, with that, I want to support my local small businesses. I know of some comic book stores and collectible shops and I make sure to visit them at twice per month so I can treasure hunt and support my friends’ businesses. But after these resources are tapped, I do a search to see if any new toy shops are being featured via Yelp or something. Recently, I did a search in my area using the word “Toy Store” as a guide just to see what would come up in a 50 mile radius. And with that search, about four ‘Specialty Toy Stores’ rose up from the depths. Curious, I swiped through their image galleries to see what made a ‘specialty toy’ so damn special. No surprise– ‘specialty toy’ is just a synonym for ‘Baby Toy Made of Wood’. 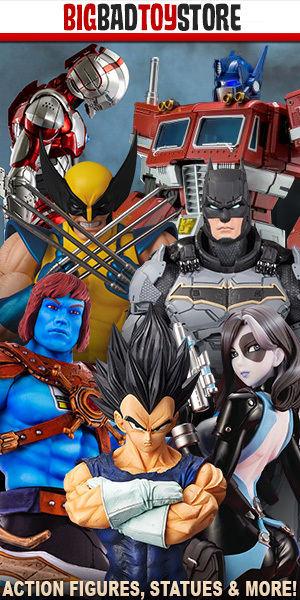 At what point did we stop associating plastic/vinyl action figures/doll toys as being special? The question opened up a tsunami of new questions in my brain; I didn’t quite understand what she was getting at. So, I posed her question with one of my own. The truth is, I think nothing negative of plastic toys. I love them. And I’m sure that the rusted metals and lead paints used on Grandpa’s 1930 pull string toy were excellent and completely safe, lady. Yeah– yesteryear was best year. Look- I’m not here to slam wooden toys. They’re great options for literal babies because they can chew on them (which they will) and the pulpy softness won’t hurt their mouths as much as the plastic toy equivilent. What I’m saying is, with baby toys, the exact same toy option is typically released in boushie wooden form ala Melissa and Doug or a plastic counterpart ala Fisher Price. Neither is better or worse– one just looks cuter in your Pinterest inspired well-lit photogenic Instagram-laden nursery. It’s okay to admit that, but that’s the fact of the matter. To fearful, cautious new parents, wooden toys may seem like a better option. With the exception of birthday presents or gifts for kids you don’t really know that well, there’s no better way to figure out what your kid likes to play with than just following them around the store. Let them look. Let them touch. Walk a few paces behind them. Watch their faces. Their body language. And when they ask for that $60 LEGO set on a random Tuesday that’s not near any special occasion, put your foot down, tell them they’re crazy, and buy them a $4 slime egg to make them happy. Specialty toy stores seem more and more to be soft and gentle destinations. Unfortunately, their product tends to have an age expiration. There are always exceptions and you might know a kid out there who thinks that wooden cutting fruit toy is just the best thing in the world. And if that’s the case, I hope they hold that toy with eternal fondness and plays with it until it’s black and sticky with the sugar-crusted hands of childhood wonder. But before you decide to limit your children to ‘clean’ or ‘special’ or ‘intelligent’ toys that are deemed this way because of some sort of hoard mentality, just take a moment to think back to your own childhood. Depending on your age, think back to the toys you held most dear and consider the possible (intentional or not) limitation you might be putting on your child when you arbitrarily decide that that wooden toys are best toys. What did you play with as a kid? Was it a Howdy-Doody type of toy? Was it a superhero Mego? Are you an 80s kid who had hoards of Rainbow Brite and My Little Pony? Or did you grow up in the era of the early 90s barf and powdered candy craze? There is no right or wrong way to play– immersion will occur with colored pencils as dolls, and provided the child is safe and creating a new world, this is the specialty. Action figures and dolls are in fact special. Toy stores can choose to sell whatever they wish. You live your best square-block life! But calling wooden toys ‘special’ will never erase the magical feeling I had when I opened up that ‘Little Miss Singing Mermaid’ box during Chanukah 1990. She sang, guys. Holding her in my hands transported me to another world of excitement and play. And for me…honestly…that was special.